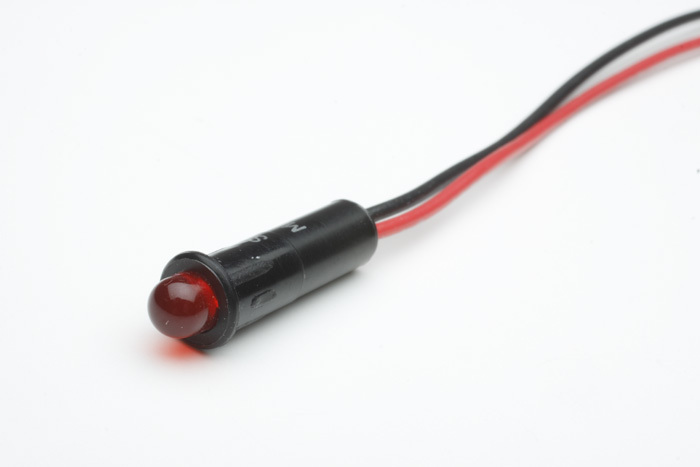 12 volt LED lights are ideal for turn signal indicators. Drill a 1/4" hole and press to fit. Blue is no longer available for this item. Check out LED-2119-W. It is available in BLUE. Light, LED, Indicator, Small Bezel, Non Flashing, Red / ea. Light, LED, Indicator, Small Bezel, Non Flashing, Amber / ea. Light, LED, Indicator, Small Bezel, Non Flashing, Green / ea.